My heart sank as the axe gave way with a resounding crack beneath my gloves. What had felt like hours of chopping had scarcely brought us two-thirds of the way through the downed tree, and now our only cutting tool was gone. It would have to be enough. I spooled out the winch and began hooking the tree strap around the weakened trunk, while my girlfriend secured a recovery damper on the line. She must have been worried, as the only sounds were the muffled crunch of snow beneath our feet and the clank of shackles being turned. Stepping behind the safety of the door I pushed the switch, cueing the Warn’s familiar whine. One second, two seconds, three… the sound of splitting wood filled the air, and with a heavy thud the tree broke in half and fell away. One more obstacle down, and still 1,000 miles to go. 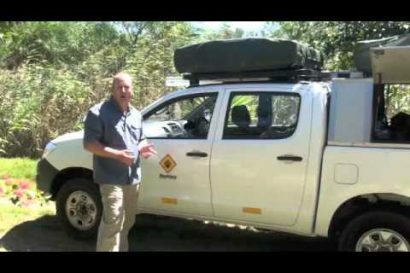 In 2015 Overland Journal launched a series of articles in conjunction with the Australian company Hema Maps. 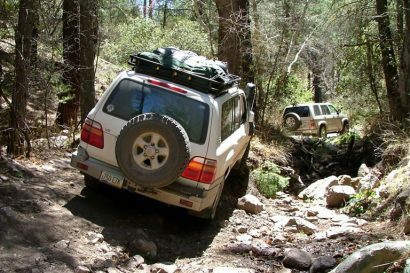 Christened Overland Routes, the new column shared our favorite tracks from around the nation, while providing readers with the information they needed to complete them via the Explorer app. 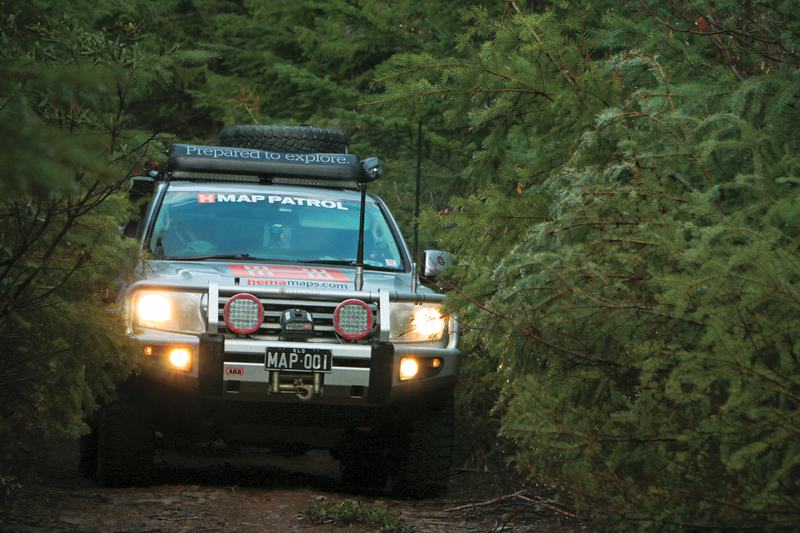 After a year of scouting, their team officially unveiled the U.S. application, and with it a plan for two epic routes. The first would follow the Continental Divide, a well-known and loved track. 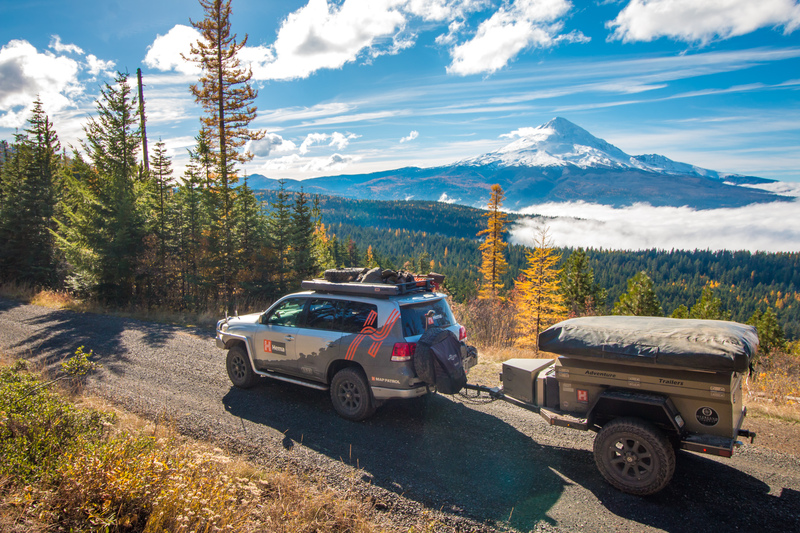 The second would be something entirely new, a grand tour through the nation’s Western states, one we’d come to call the Pacific Crest Overland Route. This trek would stretch from the Arctic peaks of the Brooks Range to the sunbaked sands of Southern California, visiting some of the country’s greatest treasures along the way. 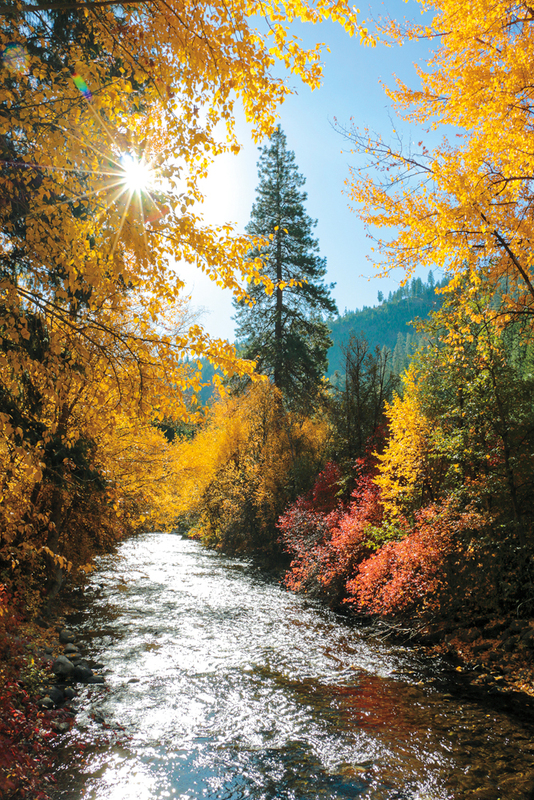 From national parks to hidden hot springs, apple orchards to desert dunes, it is the perfect way to experience the immense beauty and adventure of the Western United States. “You’re in Alaska now, so man the hell up.” It certainly wasn’t the most orthodox advice I had received from a doctor, yet somehow the tiny woman’s “prescription” for my flu seemed to fit. We were on the Dalton after all, and things are just a little bit tougher here. 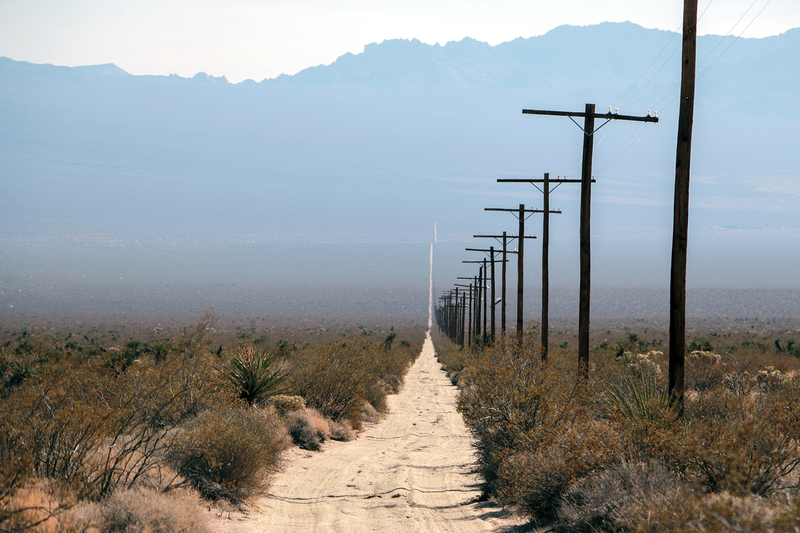 The 414-mile “highway” contains North America’s longest stretch of unserviced road, and it’s mostly dirt. When the weather isn’t trying to kill you, the wildlife or the trucks are, and there’s no hope of cell service to call for help. For any sane tourist, there is little here to consider an attraction; for us, it was the perfect place to begin. 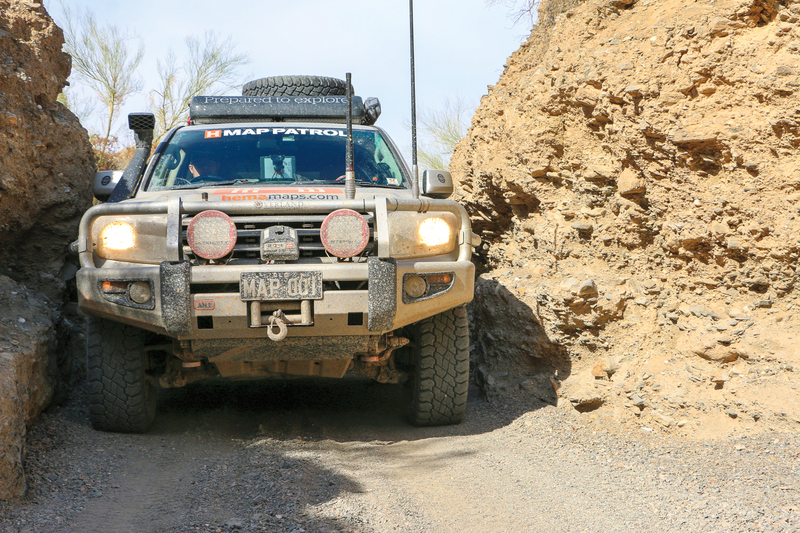 Despite its reputation, the Haul Road isn’t what most overlanders expect. It was built to support the construction of the Trans-Alaska Pipeline System in the 1970s, and after decades of use, it is still the primary supply route for oil workers on the North Slope. Translation: every day 150 to 250 speeding 18-wheelers can be found barreling down its graded surfaces, and most tourists will drive its entire length in a rented Camry. Don’t let that discourage you though, because the allure of the Dalton isn’t in the long, corrugated miles, but the vast landscape through which it cuts. 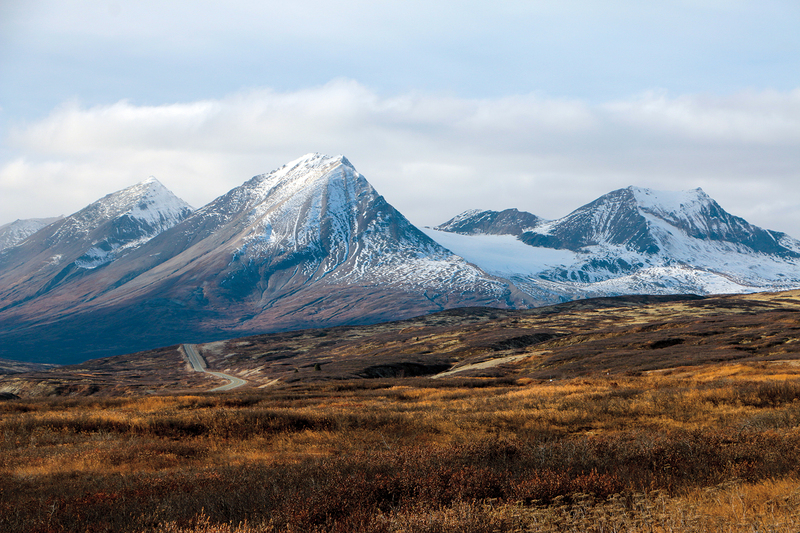 Along its length, the road passes huge swaths of dense forests, spans the mighty Yukon River, enters the chilled boundaries of the Arctic Circle, and winds through stunning valleys flanked by snow-capped peaks. 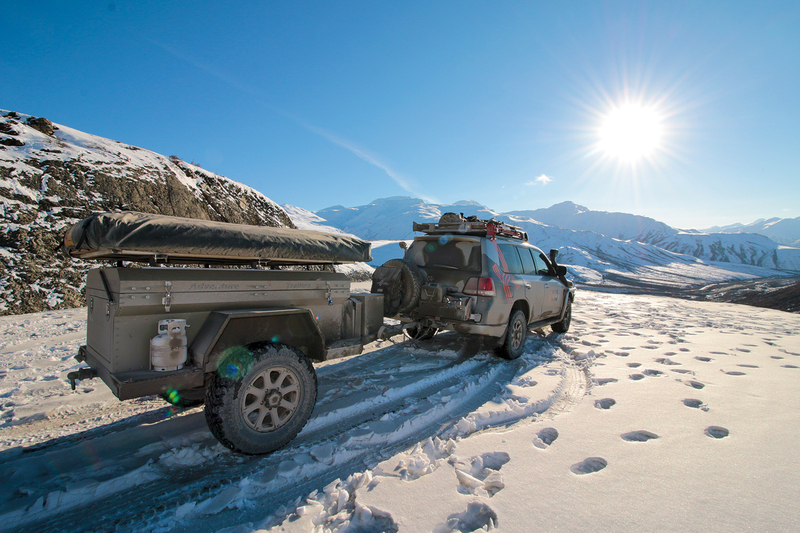 From there it climbs the Brooks Range through avalanche zones, extends across the cool and foggy tundra to frigid river deltas, and finally reaches the town of Deadhorse on the shores of Prudhoe Bay. It’s like a hairline crack dividing two seemingly endless regions of wilderness, and every time you begin to wrap your head around the mind-boggling0 scale, a new vista shatters the illusion. Even in such splendid solitude, 4 days and nearly 900 miles of driving will take its toll; the last hours stretched on for what felt like an eternity. I can only assume that this is the unspoken truth of the Dalton. 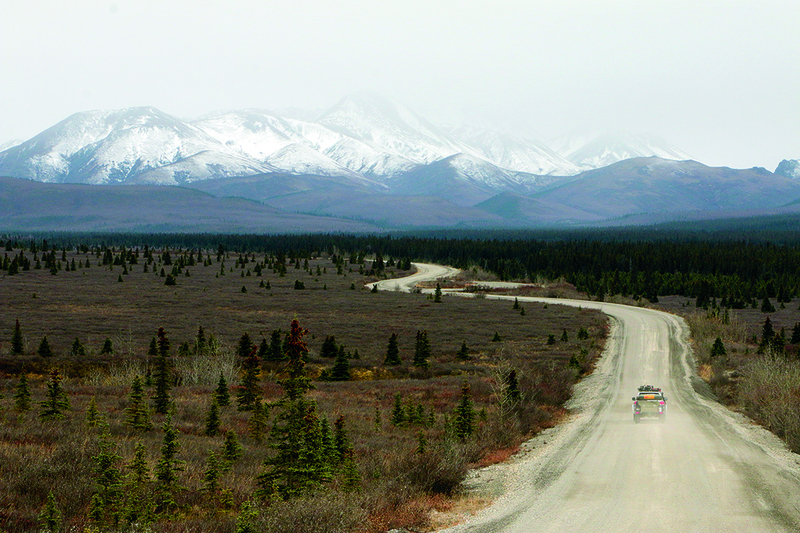 Even North America’s greatest dirt highway is still just that—a highway. 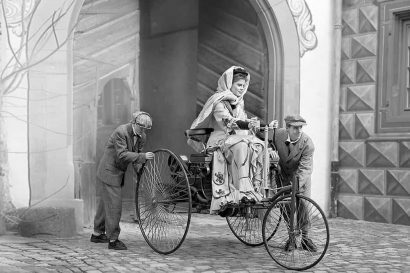 In July 1897, the U.S. economy was in a sore place. The California Gold Rush had ended, and the country was reeling from two back-to-back recessions. People were desperate, and when a San Francisco newspaper announced that gold had been found in the Klondike, they accidentally launched one of the greatest rushes of all time. Over the next 2 years, 100,000 men and women would attempt to make their way to the Great White North, and in the process forged some of the region’s most iconic cities. It was here that we set our sights. 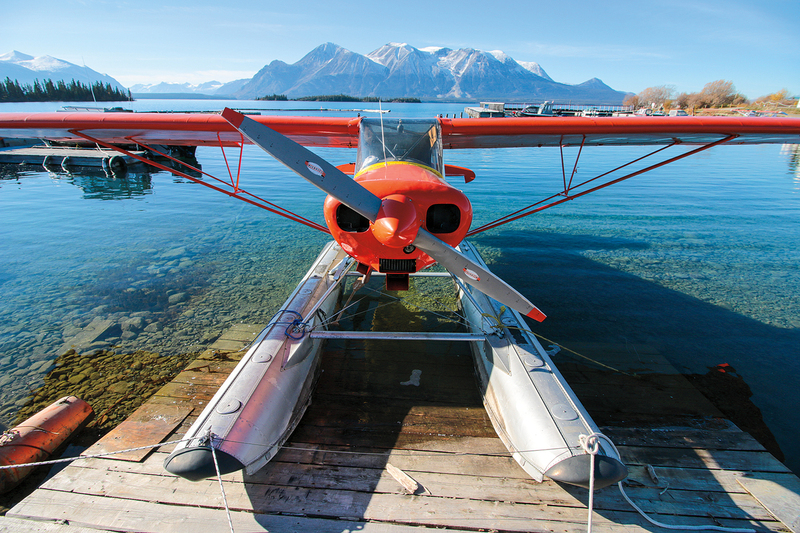 We began in Atlin, British Columbia, a once prominent boomtown perched on the shores of a glacial lake. In 1899, these narrow streets would have been packed with saloons, supply shops, and over 5,000 miners. We were greeted by a very different place—one filled with colorful homes and the smell of hot pastries from a bakery. It was charming, to say the least, and looking out across the lake I understood why it had earned the nickname Switzerland of The North. At the center of its clear waters stands a mountain containing one of the largest rock glaciers in the world. To the south, Llewellyn Glacier’s icy surface shimmers in the light, and immense mountains surround the village on all sides. It’s a place where time seems to slow down, and you can quickly lose track of the hours in the comfort of a hot spring or the beauty of your surroundings. Unfortunately, our ferry was departing in just a few days, and time was one luxury we did not have. We begrudgingly left our secluded escape and headed for the open road. 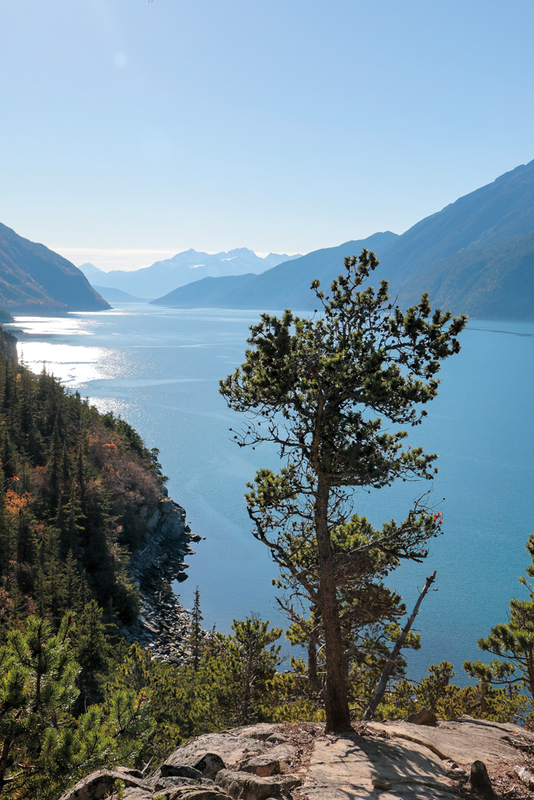 Our remaining stops in Alaska form the Golden Triangle, a series of two-lanes connecting the towns of Skagway and Haines with Whitehorse in the Yukon Territory. Despite being paved, this drive was one of the highlights of our trip, as it rolls through a landscape rivaled by few others in the world. The southern peaks of this region are more jagged and colorful than those found in the north, and they cradle magnificent valleys splashed in blue and turquoise from glacial lakes. The sparse vegetation reveals view after stunning view, topped only by those found in the coastal cities themselves. 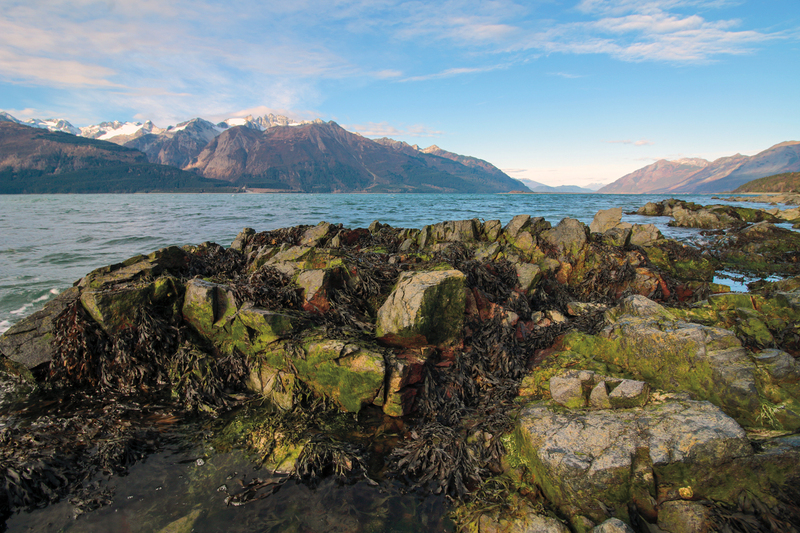 Like Atlin, Skagway was forged by the Gold Rush. It began as a single home and wharf owned by William Moore, but when steamships landed in the tidal flats of Dyea, things changed forever. The small settlement was quickly overrun by land-jumping prospectors stealing Moore’s claim, and each week 1,000 new miners arrived to follow suit. Many who lacked the fortitude to lug their required 2,000 pounds of goods over the mountains to Canada would end up settling in Skagway, and by 1898 it was Alaska’s largest city with somewhere between 8,000 and 10,000 residents. Of course, the streets we drove bore little resemblance to the lawless port of the 1800s. In fact, if you arrive in October as we did, you’ll find a sleepy city full of rich history and relaxed attitudes. 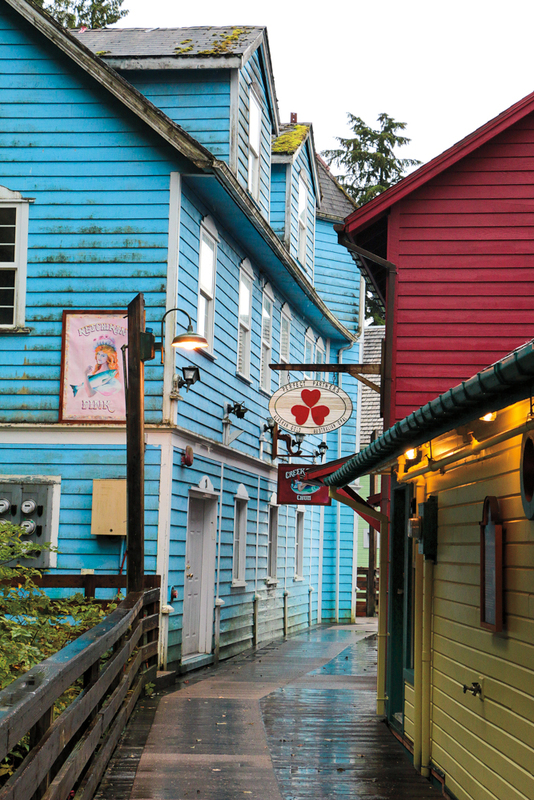 Restaurants, coffee shops, and souvenir stores are intermixed with historic buildings, and the only place you’ll find a prospector carrying his “ton of goods” is in a small museum by the local brewery. 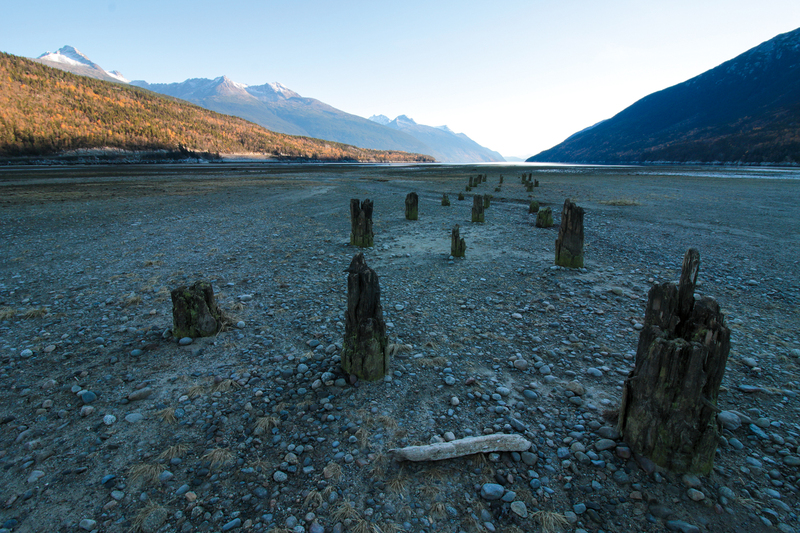 Don’t think that Skagway has given up searching for gold, it has just found a better source: tourism. During the summer, up to five cruise ships at a time will dock here, unloading 10,000 wide-eyed tourists into a town of 920 residents. 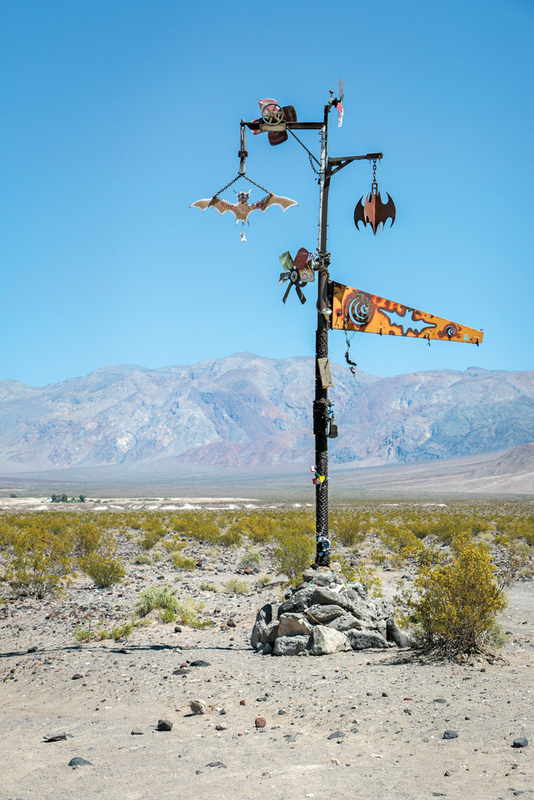 It’s a picture of chaos, and one we were glad to skip in favor of the area’s true treasure—its natural surroundings. 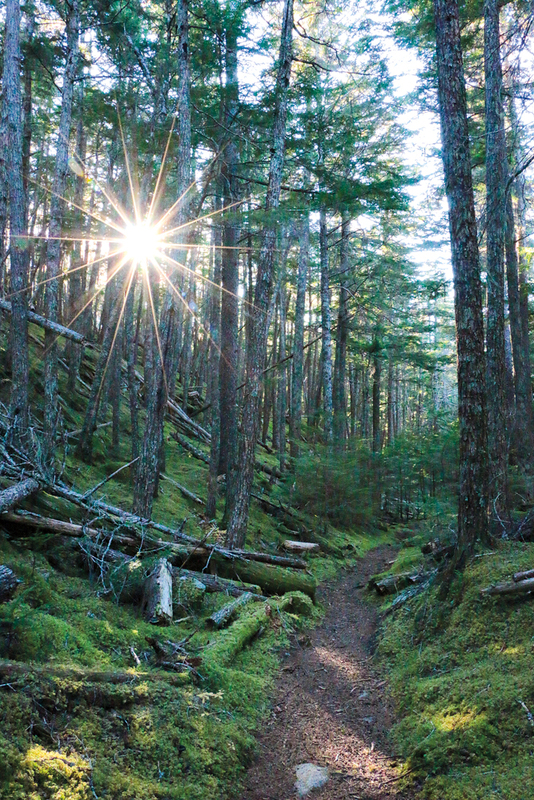 Just outside the rows of souvenirs and knick-knacks lies the lush coastal rainforests of Alaska’s southern shores. 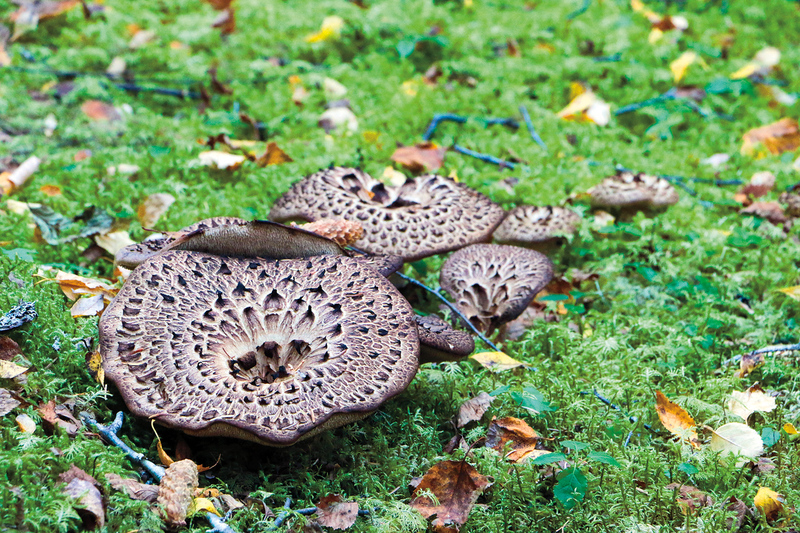 The many hiking trails are like something out of a fairy tale, where huge mushrooms painted in ornate patterns dot the moss-covered ground, and trees are coolly reflected in the waters of snow-melt lakes. From the high cliffs, you can observe whales swimming up the deep fjords, or seals basking in the afternoon sun. It couldn’t have been more different from the Dalton, and after the long haul, we kind of liked it that way. 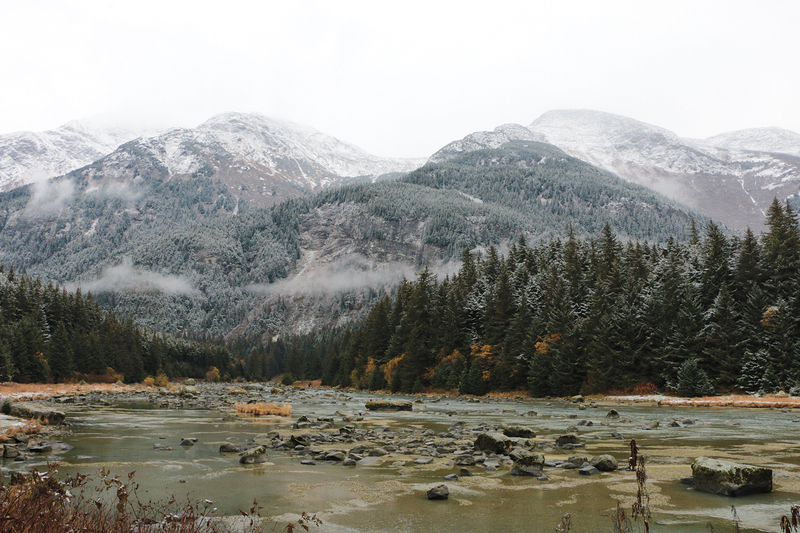 Traveling from Alaska to Washington is like turning the seasons back a month. 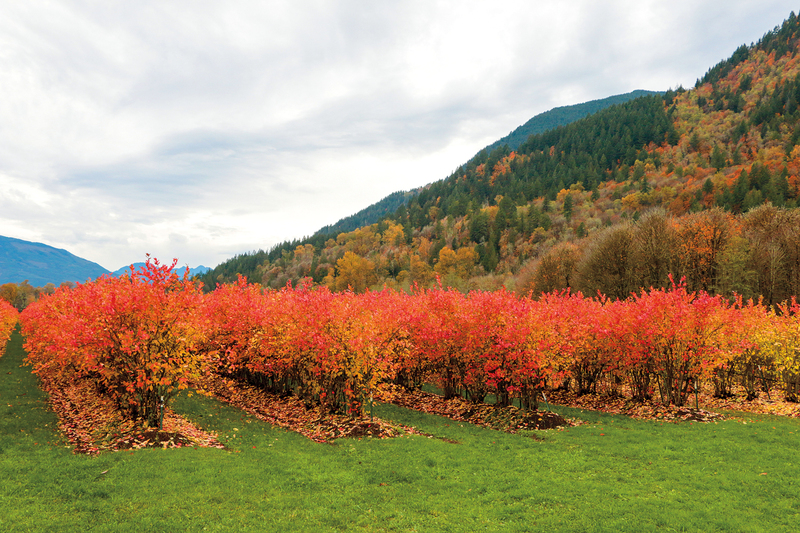 We had left Haines in the midst of a snowstorm, and after 4 days of misty fjords and small port towns, we arrived in Bellingham to splashes of red, yellow, and orange. There were apple orchards, rows of trees, a wooden coffee stand, and a perfect pumpkin patch complete with a straw scarecrow. 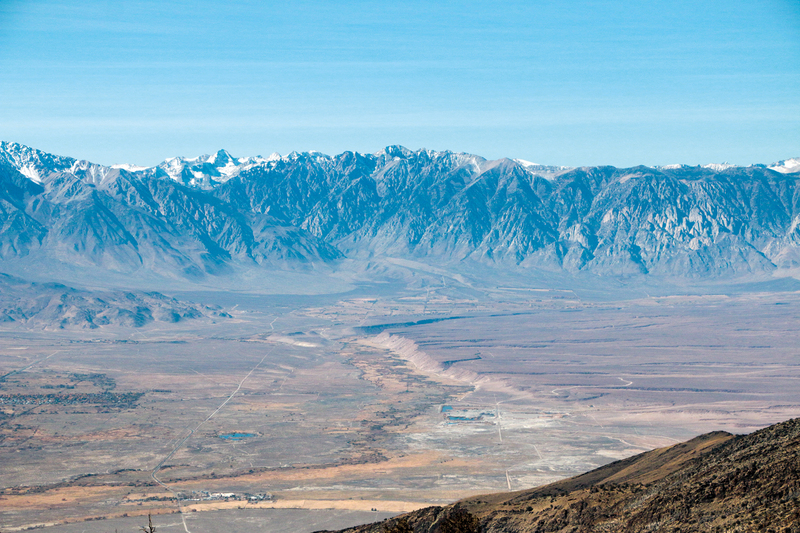 After living in the high desert for 7 years, it was like driving into another world for me. I spent the better part of the first day admiring Washington’s vibrant countryside and failed to notice the road, which was becoming more washed out and rocky with each passing mile. Even as we twisted and turned deeper into the woods, the area’s natural beauty somehow gave me false confidence in the trail’s condition. 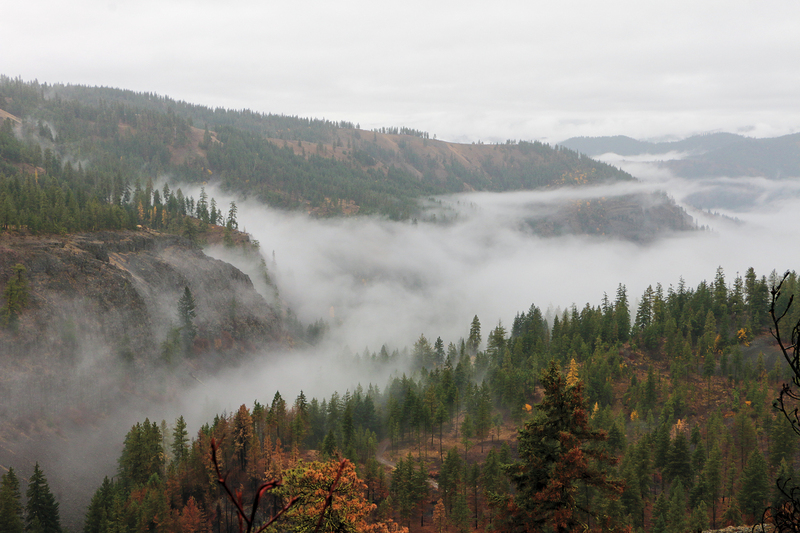 Yes, sir, things were looking good—right up until the road vanished into the gorge below. I slammed on the brakes and clenched the wheel as the truck came to a halt just before reaching the mouth of the gaping pit. I forced a smile at my fiancé and quipped, “Finally, my slow driving pays off.” The look she shot me was far from amused. Good time to evaluate the road I thought, and quickly exited the vehicle. Outside it was easy to see that the small bit of remaining dirt would never hold under pressure, so instead, we pulled out the Explorer app and found another option just 5 miles away. Doubling back we hoped that this would be an isolated incident. Unfortunately, it wasn’t. The next 2 weeks were plagued by closures and dead ends. Some were seasonal, others were just bad luck. Fires forced us to divert from our original path, which in turn pushed us onto mountain trails covered in snow and ice. We battled downed trees, plowed fresh tracks through heavy slush, and sometimes had to use our lockers and even the winch to make progress. Constant rains brought mud and flooding, and we often found our route covered in pools of deep water, or too overgrown for travel. It was exhausting, but with each delay, the PNW seemed to offer us a new breathtaking path as recompense, and just like that we’d forgive it and fall in love all over again. Not that falling in love with these states is hard. 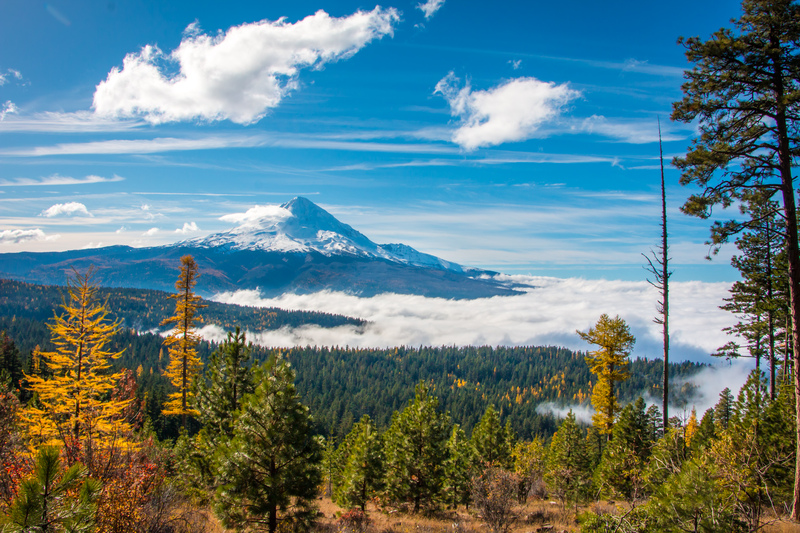 They are blessed with majestic peaks like Mounts Rainier and Hood, endless forests of evergreens covered in thick coats of moss, and deep lakes fed by shimmering waterfalls. Near the ocean, gargantuan redwoods have grown to magical proportions, and the water around the craggy coastline churns and froths around pillars of rock in shades of blue and white. 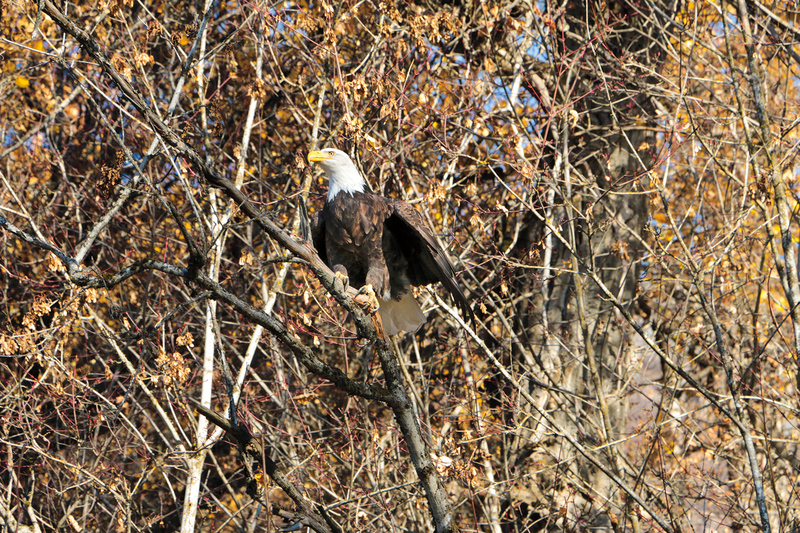 In many ways it reminded me of the Alaskan wilderness we had just left, although here the views are presented in brief glimpses through dense foliage, making their sudden appearances all the more impressive. Sadly, these emerald lands don’t last forever, and somewhere south of Lake Tahoe we found ourselves dropping into the shadow of the Sierra Nevada. These valleys form an enchanting borderland between the lush mountains of the north and the parched deserts of the Southwest. Their wide-open expanses were like a breath of fresh air after being swallowed by an endless sea of trees, and I found myself appreciating the desert more than ever. 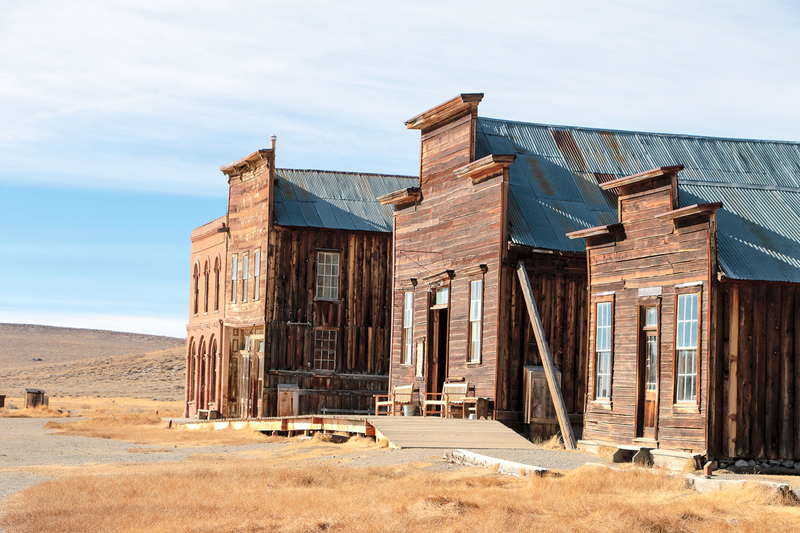 As we climbed a particularly steep hillside, an eerie mill rose above the horizon, and the ghost town of Bodie crept into view. Its dilapidated buildings were in stark contrast to the cheery tourist towns we’d seen thus far, but the arrested state of decay granted a rare opportunity to walk amongst history. We peered through windows and listened to the sounds of boards creaking in the silence. It began to feel like gunslingers would step out to duel at any moment, and as swirling clouds of dust set the scene, our hero stepped from the saloon—a park ranger with a crackling radio. At least his mustache fit the part. From Bodie we continued our trek through the Eastern Sierra, now climbing and descending more often as we ventured south to one of our favorite escapes: Death Valley. 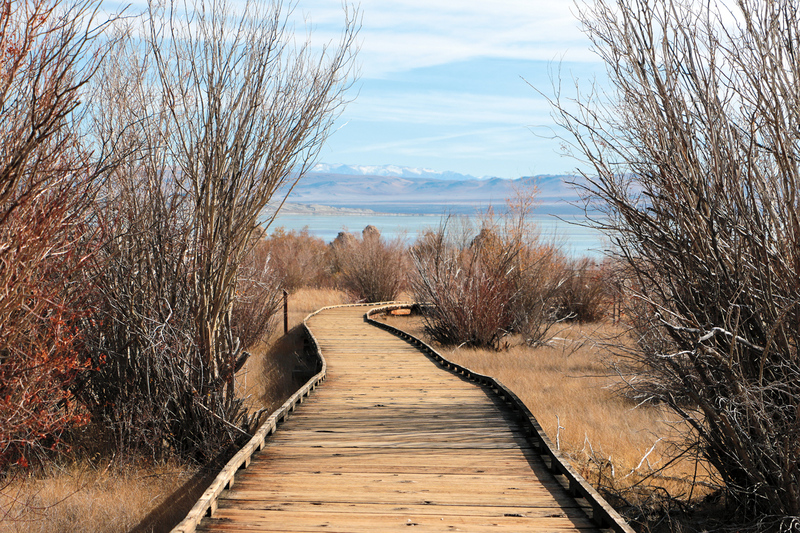 This national park is packed with treasures like the Racetrack and Eureka Dunes, but we were headed to Saline Valley’s warm springs, a shady oasis with cool grassy lawns. I’ll admit it’s an odd place, though the abundance of laid-back travelers telling stories of their world adventures has made it one of my personal favorites. In fact, the only uptight patrons we’ve ever met here are the burros, whose nightly raids have surprised more than a few people walking to the john. We spent just a day in our little hideaway before a beckoning schedule forced us on. 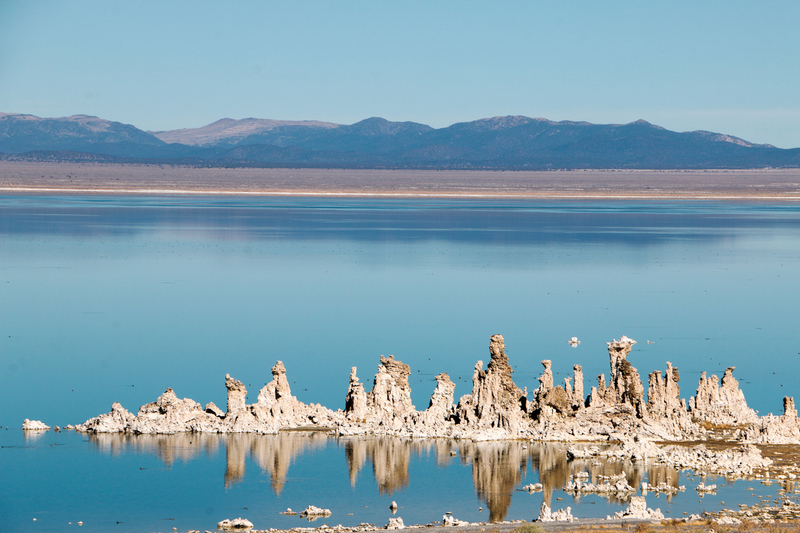 We brewed a few strong cups of joe and set out for the dusty plains of Soda Lake. The Mojave Desert is my home turf so to speak, an area I’ve driven so many times that a map seems ridiculous. Yet it was here that we found ourselves most uncertain of the road ahead. The plan was to bring Death Valley, the Mojave, Joshua Tree National Park, and Glamis, California, together before reaching the Mexican border. Recent closures and shifting sands promised to make that a difficult task. Our last guaranteed stop was Kelso Depot, and after that, we’d discover just how much trouble we were really in. 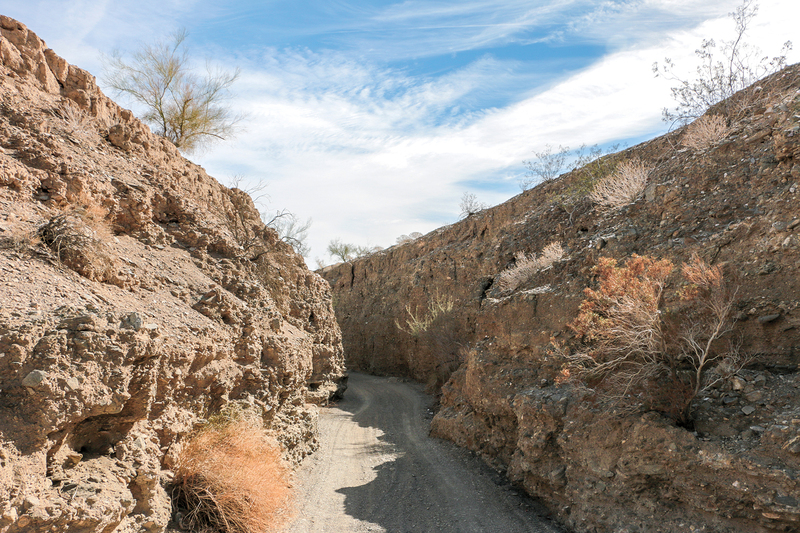 The trail was thin, and with thousands of overgrown creosote bushes creeping in, it was getting thinner by the second. Every attempt to slow down and avoid the plants caused the heavy Land Cruiser to sink into the soft sand, and soon keeping momentum felt like an impossible feat. We battled our way up hills and through narrow valleys for the better part of a day, until finally all other options vanished and we were forced back onto pavement. 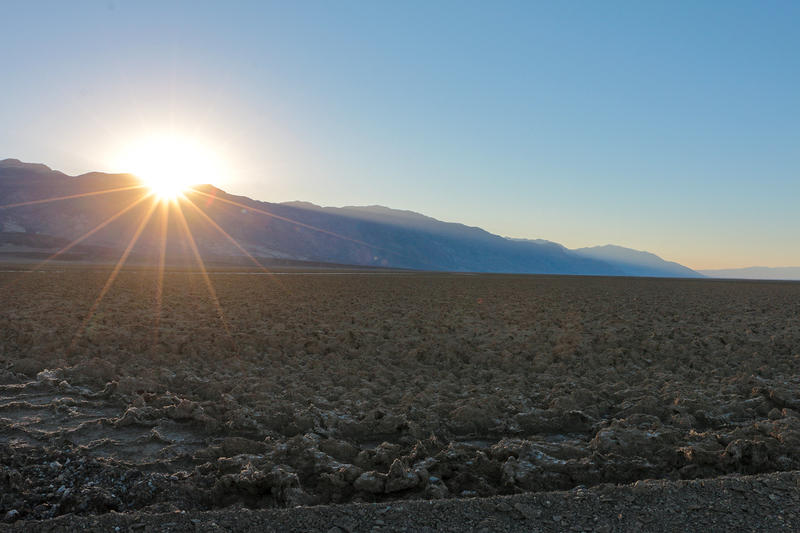 It was a blow so close to the end of our journey, but it meant passing one of the most intriguing places in the Southwest, the Salton Sea. This massive body of water was created completely by accident but became a thriving lake community in the 1950s. Years of rising salinity has since killed the region’s tourism—the once popular clubs and hotels still stand, their fading signs and decrepit features a hollow reflection of their former glory. It’s an apocalyptic scene, and one that felt all the more surreal with the great silhouettes of the Algodones Dunes rising up behind it. Better known as Glamis, this 45-mile expanse of shifting sands marked the final stretch of our journey, and that was a bittersweet thought. It had been 6 weeks and 4,000 miles since we hopped behind the wheel of this trusty 200 Series, and here we were just hours from the highway home. As the final light waned we set out to conclude our journey in a setting worthy of an old Western film. A burning red sun dropped low in the sky, soft cascading dunes extended toward the horizon, and the border was just within view. Sadly, there was no grand finale, huge boulders, or hidden tombs, just a dusty fence and a final photo. We turned to the pavement feeling underwhelmed by the close of our trip, doing our best to look happy when a patrolman pulled up moments later. Apparently, a bad accident had blocked the highway entrance, and the detour would take us 30 miles out of the way. He gave us an appraising look and then added, “You could also take the shortcut over there. It’s only a quarter mile, and you’ll be able to make it.” We kindly thanked him and cruised toward the alternative route on highway air pressure. Whether I was recounting the trip or just undercaffeinated I’m not sure, but before we knew what had happened, sand flew up past both our windows and the Cruiser was buried to the frame. We stared at each other and slowly began to laugh. This was the end our journey deserved, one last adventure in the southern sands. The Dempster Highway that traverses Yukon and NWT Canada is longer at 458 miles and the new Inuvik to Tuktoyaktuk Road (begins at the end of the Dempster) in NWT adds an additional 100 miles … for a total distance of 558 miles / 898 kilometres as compared to the Dalton’s 414 miles / 666 kilometres. These roads are remote gravel drives with a short distance of pavement (10 kms?) near Inuvik. Great article and pictures! Where can I find a gps track for the route? I think previous routes included them? Thanks!